Character analyses are important for recognizing the depth and impact characters have on a story. Usually character analyses are a more in-depth assignment or short essay that require the student to think critically about one or more characters and make inferences from a careful reading of the text. 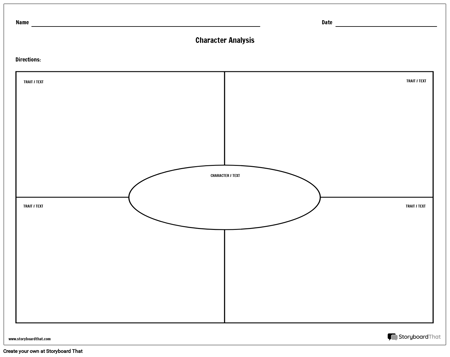 It helps to have ways to visually organize the different parts of a character analysis with storyboards, graphic organizers or character analysis worksheets. Learning English is no easy task. One of the problems is that English has a very rich vocabulary, meaning students have many words to learn. There are different ways to teach vocabulary, and students may find some methods better for them than others. It is always a good idea to teach vocabulary in context. Putting the words in a phrase or sentence helps students so much more than just giving them the words and definition alone. Try to use the new words in speech as much as possible when you are teaching them, to model how to use them. Repetition is key to students remembering the words over long periods of time, so get your students to practice a lot. Speakers of other languages all over the world are speaking, reading, listening, writing, studying, and learning English all the time. Visual tools and techniques can be useful in any classroom, especially there are multiple languages spoken or where the teacher and the students do not share a common language. Storyboard That can be used in a range of different activities in all areas of ESL teaching, including some of the potentially drier areas like vocabulary and grammar. It can also be used as a powerful tool for teachers to create resources for their classes. Author studies aren't limited to elementary school. Bring on the Poe! It's not a comic book, it's a graphic novel! Help your students start their very own graphic novel or turn whatever you are reading into a graphic novel version! Book Report. That term is used pretty loosely. Some people mean a detailed synopsis. Others want an in-depth analysis on one or more literary devices. Some people actually mean a critic's review of the book. There are even those who want EVERYTHING. Storyboard That wants to bring all of the different kinds of book reports together in a much more engaging medium. Analysis of literature and poetry can sometimes be difficult for students to grasp. With the help of acronyms, however, key themes and ideas can be more easily discovered and understood! Two acronyms to start incorporating with your ELA students are TWIST and TP-CASTT. 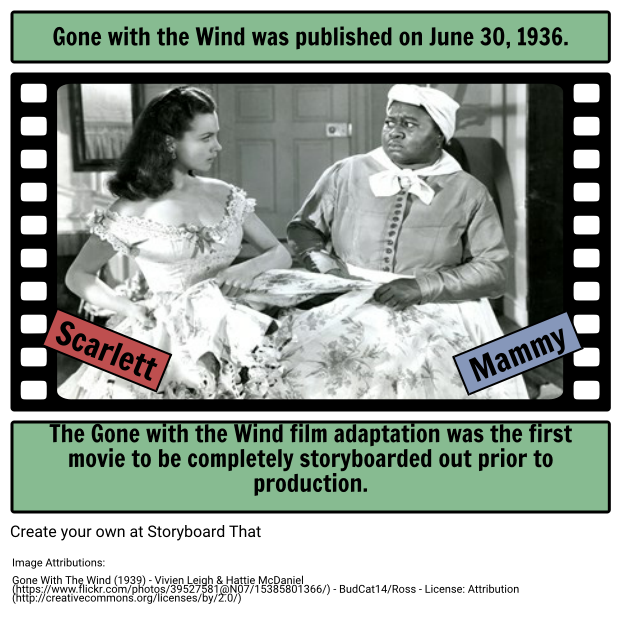 Both highlight important concepts from the work and will help increase overall literary comprehension! It’s no secret that storyboards are an extremely useful tool for visual communication. But what you might not know is how much more useful storyboards are when the cell size is increased to 16x9. While 16x9 has been the industry standard in movie making for many years, we feel it is also a great layout for teachers!